FarmFemmes introduced you to Carla Plett this summer. We asked her to come back for another feature this week to talk about how robotic technology has changed the dairy industry. She works with her family at Rumardale Holsteins Ltd. in southeastern Manitoba where they milk around 350 Holsteins on seven Lely robots. 1. How does the introduction of robots impact animal health/welfare? Robots have many benefits when it comes to animal health and welfare. 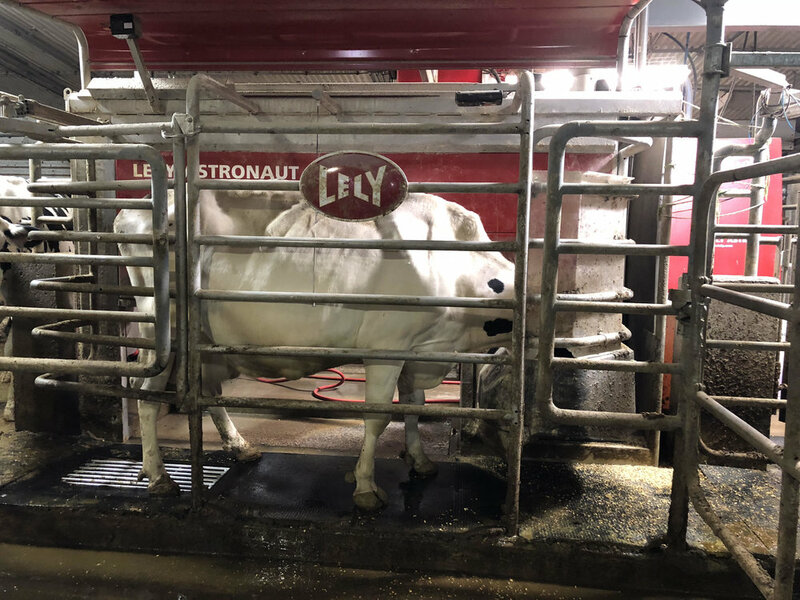 Since robots remove the human interaction during milking there is more consistency in the way the animals are prepped and milked which ultimately leads to better udder health in the herd. Robots also have the ability to pick out possible sick cows before we may notice anything physical wrong with the cow. Having robots also allows the animals to be milked on their own time. Another benefit to have robots is being able to customize our robot ration and high moisture corn to each individual cow so each cow can be feed according to their production level. 2. How does the introduction of robots impact record keeping? 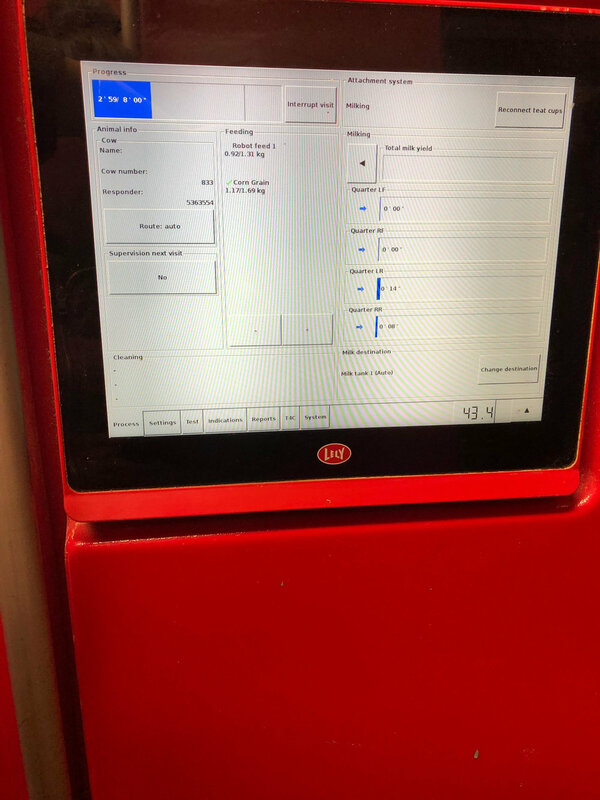 In terms of what record keeping we use a combination of Lely's T4C and Dairy Comp (DHI) to keep tract of our herd. Dairy Comp is our main way of keeping records of our herd but T4C gives us in-time data on each cow for daily management. Display shows cow number, amount of feed, status of each milking quarter and duration of last visit. 3. How does the introduction of robots change the human work in a dairy operation? Having robots does not reduce your time in the barn like some might think, but it allows your schedule to be more flexible. Robots let you spend the time you would have used for milking to focus on other areas of the barn and herd that you may not have had time for previously. 4. What advice would you give to someone who is thinking about switching to robotic milking? Based on our experience with our herd, if you are considering switching over don't wait - it is well worth the investment! Since moving over to robots our production and overall cow comfort have increased tremendously. But it is important to remember that robots should be used as a management tool and that a robot does not replace a herdsman.